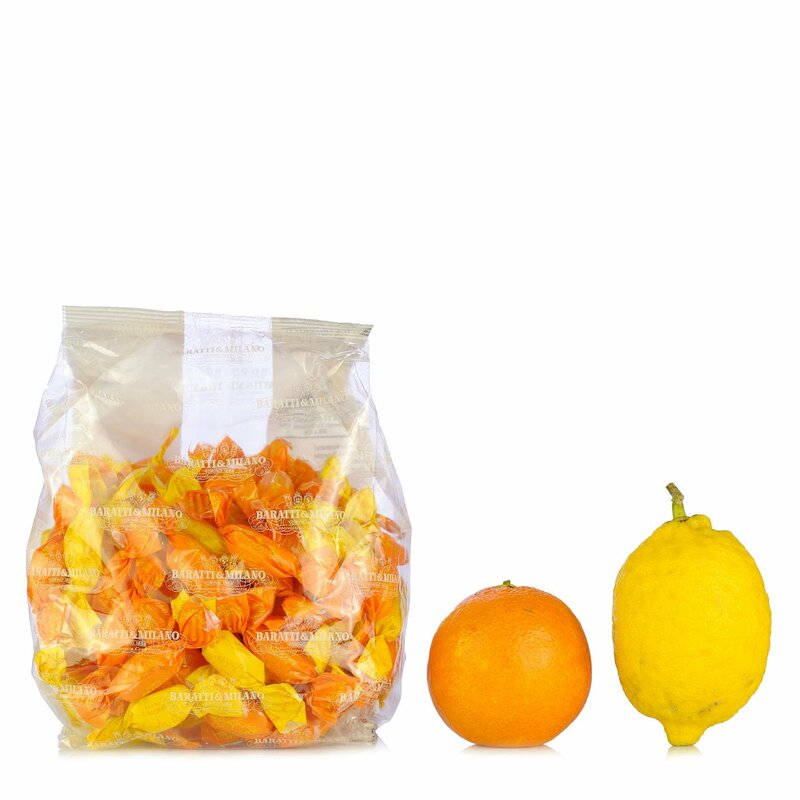 A classic format with the unmistakable butterfly wrapping: the orange and lemon recipe is based on fruit juices and natural extracts. 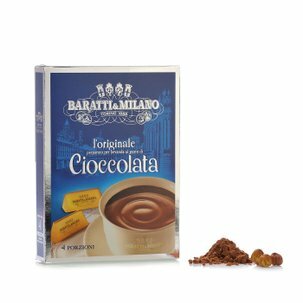 To enjoy a break with the intensive and unique flavour of citrus fruits whenever you please, make sure you stock up on these delicious Baratti&Milano slices. 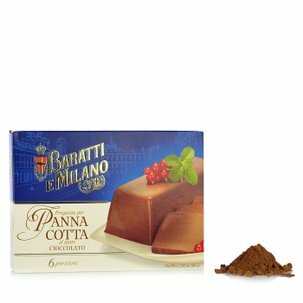 Delicate traditional hard sweets, an excellent addition to your treats shelf or your bag or pocket as you go about your day, and a perfect gift for a sweet and tasty surprise. 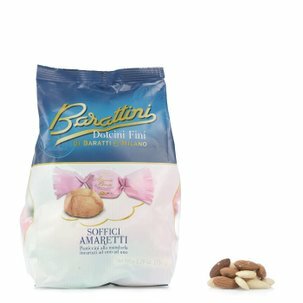 Eataly has chosen the sweets made by Baratti&Milano because we want to pamper our customers with the delicious flavour of strictly genuine ingredients. Ingredients glucose syrup, sugar, acidifier citric acid, concentrated blood orange juice (0.8%), pink grapefruit (0.8%), citron (0.3%), and mandarin (0.3%) essential oil of mandarin, pink grapefruit, citron and orange. For more information on product labels, please contact our Customer Service department. The information on the labels of the products may vary for reasons beyond our control, therefore, there may be discrepancies between the information on the site and that on the products delivered. Please always check the information on the product before consumption or use.